Today, the Second Sunday of Easter, is Divine Mercy Sunday. Our Gospel reading from St. John is often called the story of “Doubting Thomas” but the passage involves so much more than the encounter with the skeptical apostle. It is rich with lessons of Christ’s mercy to all, including an encouraging word from our Lord especially for us, His modern-day disciples. 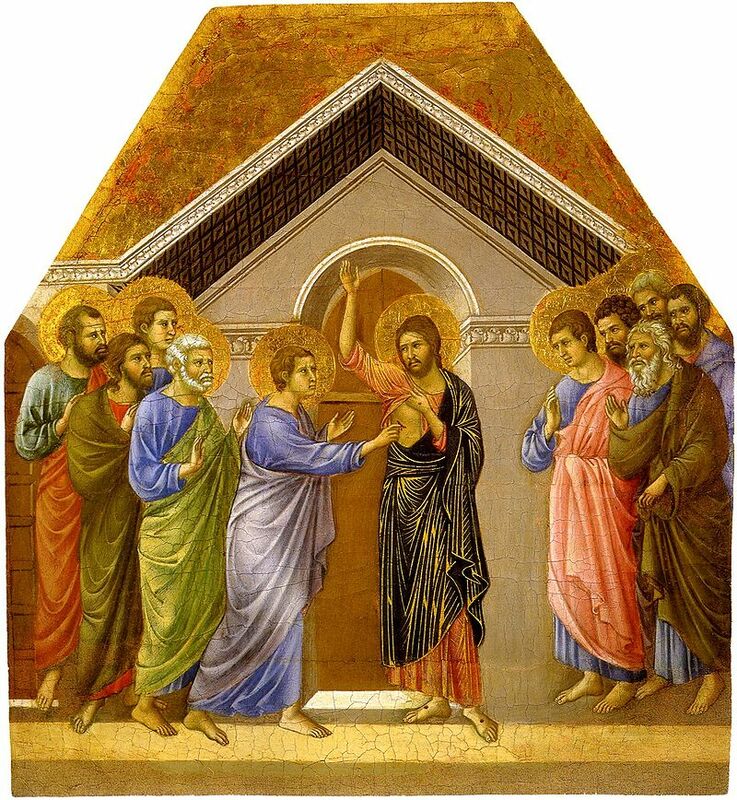 ​While Thomas traditionally takes all the bad rap for his doubts, we see that none of the Apostles were at their best when Christ first appeared to them after His resurrection. They were actually in hiding, cowering behind a locked door, paralyzed by fear and doubt. But Jesus appeared right in their midst in spite of the lock on the door. Was it to rebuke them for their lack of faith? Quite the contrary. He comes on a mission of mercy. He comes to offer them peace and the restoration of their relationship with Him. And even more, He commissions them to become ministers of His mercy, by giving them authority to forgive sins. At that moment Christ gives to all of us the supreme gift of mercy — the sacrament of Reconciliation. What a precious and powerful gift! This Sunday is a perfect time to reflect on how well we make use of this gift. Do we really appreciate its healing power? Could we become better stewards of this gift by going to Confession more often? We must also reflect on how well we extend mercy to others as Jesus did to Thomas that day. Let’s commit ourselves to becoming faithful disciples and stewards of Christ’s mercy. We will be those very ones to whom Jesus gave a “shout out” during His encounter with Thomas: “Blessed are those who have not seen and have believed” — in His merciful love. John is a certified financial planner with 25 years experience in development and finance. He has organized successful development projects all over the United States and has been the director of development in our diocese since 2000. John became a CFP in April of 1994.